A PREVIEWS Exclusive! Based on the best-selling video game, Batman: Arkham Asylum, this bust bank recreates Harley Quinn! 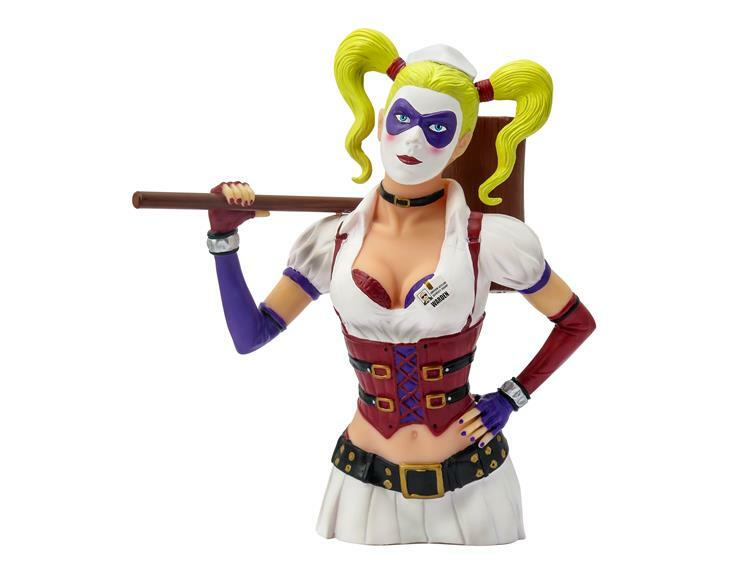 The detailed sculpt will look great on your shelf, and you can also use it to store your loose change.